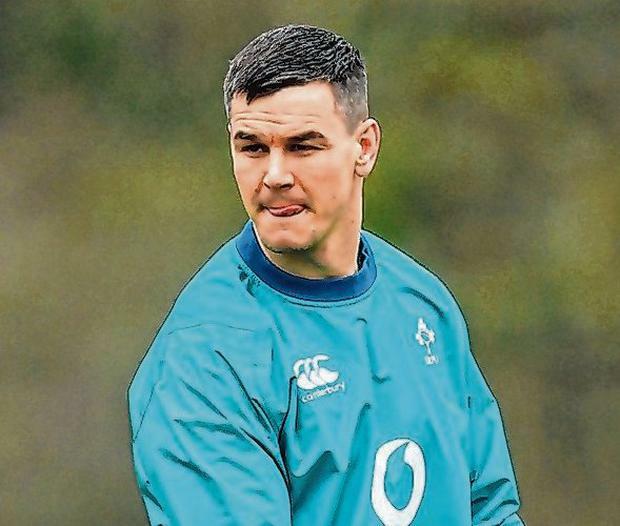 Fly-half Johnny Sexton knew he was facing heavy criticism in the days after Ireland's Six Nations loss to Wales because of the reaction of other parents when he brought one of his children for swimming lessons, he told the Sunday Independent. "I tend to ignore a lot of the noise and press. But you know it's bad when people are coming up and asking are you OK," he said at the launch of his new role as brand ambassador with recruitment firm CPL. The performance of the current World Rugby Player of the Year in the disappointing Irish loss was, by his own admission, not his best. "Sometimes the scrutiny can be tough on those around you," he said. "So you do something you regret like kick a water bottle as you go off the pitch and it's all over the place and it's the end of the world. That affects my wife and mother more than it affects me. "I'll learn from it and won't do it for a while - and then I'll probably do it again in a few months. "You are under the spotlight and scrutinised about everything but that's the job we are in and you learn from it and go again." Sexton defended the team, arguing it had a great performance against France. "A week is a long time in sport, never mind four or five months. It's a long time until the World Cup prep starts, so we have plenty of times to get things right," he said. Neither is he overly concerned about his own form: "I've had periods of my career where things have gone badly and I've always found a way to bounce back." Sexton, who hopes to gain experience of the corporate world through his involvement with CPL, insists that although he is already beginning to plan his life after rugby he has lots left to do on the pitch, including the World Cup this autumn and, hopefully, a Lions tour in 2021. Players who look after themselves can play into their mid- to late-30s but he says he is already thinking about what comes next. He cited Brian O'Driscoll and Paul O'Connell as inspirational players who played well into their 30s. "I'd a bad period with injuries three years ago. It's hard to get into a rhythm when you are out for a period of time but I learned a lot about my body then and what I need to do to get that right."